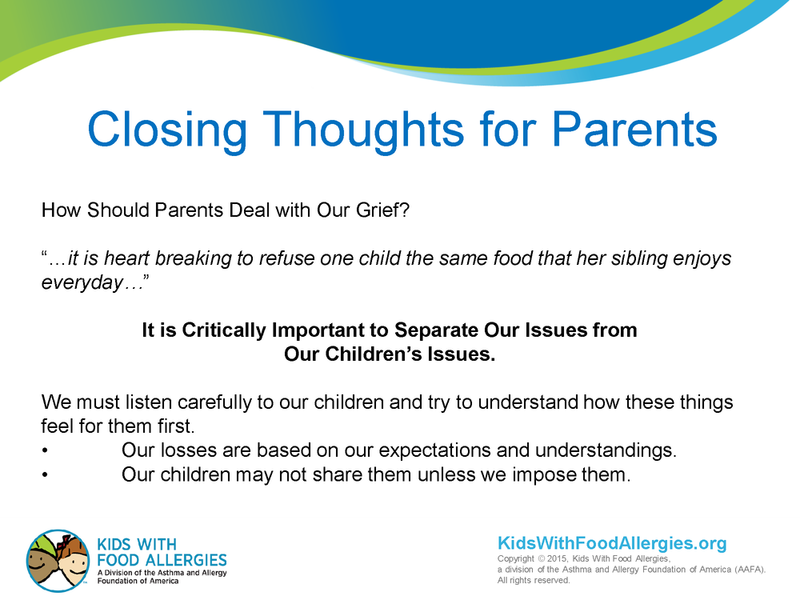 Kids With Food Allergies (KFA) hosted a webinar on August 11, 2015 on Coping With Food Allergy Anxiety: Back to School and More. Dr. Gianine D. Rosenblum is a New Jersey psychologist in private practice and a parent to a child with food allergies. She specializes in the treatment of trauma and has clients with anxiety related to food allergy and other issues. We are grateful to Dr. Rosenblum for donating her time to prepare and give this webinar. We thank Mylan for providing an unrestricted sponsorship of this webinar. The presentation focused on children’s anxiety across different age groups. But, the coping strategies Dr. Rosenblum described are universal. Here is the video recording of the webinar. We have also included a list of related resources and handouts below. How can I manage anxiety? A blog post about how to help your child if you suspect or know about bullying. 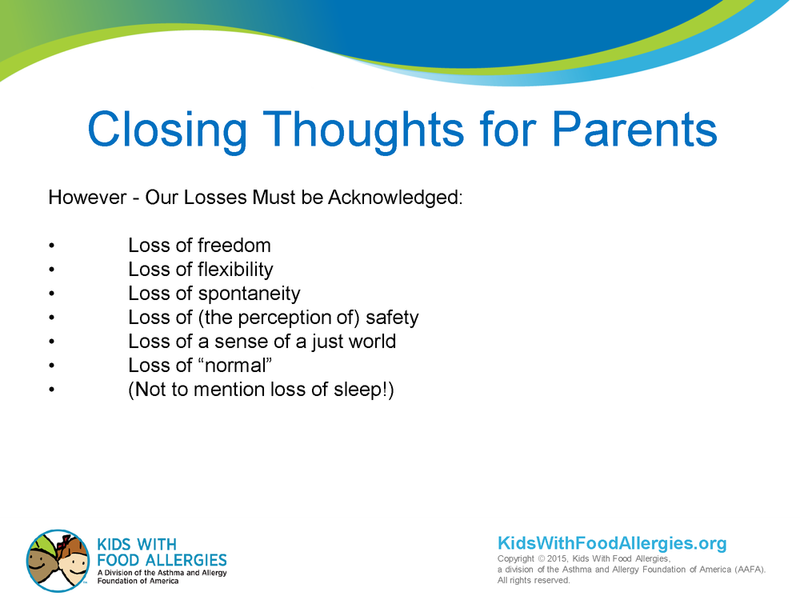 An archived webinar with author Linda Coss and allergist Dr. Michael Pistiner. A guide to understanding anaphylaxis, or a serious allergic reaction. Take all allergic symptoms seriously! Both mild and severe symptoms can lead to anaphylaxis. Connect with other parents learning to cope and grow with the same issues as your family. The generous support of our donors allows us to reach families who need our help. A webinar attendee recently told us: "I really enjoyed this seminar and will forward the link when it is available for others to view. Thank you for doing this as you make a HUGE difference for so many lives!" Your help allows our webinar series to be available to all families free of charge. We can give families managing food allergies the information they need to keep their children safe and healthy. Donate Now - Please give generously!